The problem with visiting Bacolod is that you can’t watch your waistline. It’s as if the City has declared a war on diets, with delicious, hearty food available in many places in the city, regardless of cuisine or price range. And Bacolod being sugar country, it is fitting that one of the best things about it are its desserts. One of the first thing I did after arriving in Bacolod was look for Calea, which everyone–as in everyone–says makes the best cakes in the city. It’s not hard to find, being smack dab in the middle of Lacson Street across L’Fisher Hotel. The place is always full, as in a bustling kind of full, with people lining up, ordering and eating at all times of the day. It was full when I got there, around 9pm on a Friday. The ordering procedure may be confusing at first glance. This is what you do. After securing a table, or if you are alone, asking a kind waitress to secure one for you, gather everyone’s orders and have a representative walk up to the cake display area. The cake display area is an impressive glass case filled with the most gorgeous confections this side of Negros, all of them oversized, all of them larger than life. You can get diabetes just by staring too long at it. Once you have joined the line by the counter, a lady will come by to take your order. After that, you can sit down and wait for your cakes to come. I ordered an Espresso Cheesecake and a cup of coffee. The cake, when it arrived, was huge and dense, with just the right ratio of coffee flavor to cheese tartness. 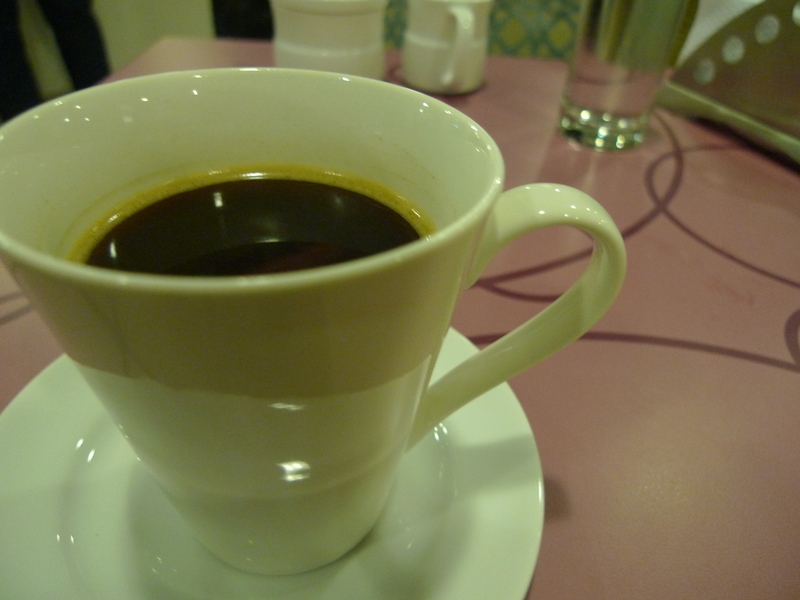 It was great with black coffee. The coffee was lovely. Smooth and smokey, with a hint of bitterness, just the thing to combat the ultra-sweetness of the cake. Bacolod, as I have learned from the people who live there, is a city that prides itself on being larger than life. If something is worth doing, it is worth doing well. This applies to food, and it seems, especially to sweet things. 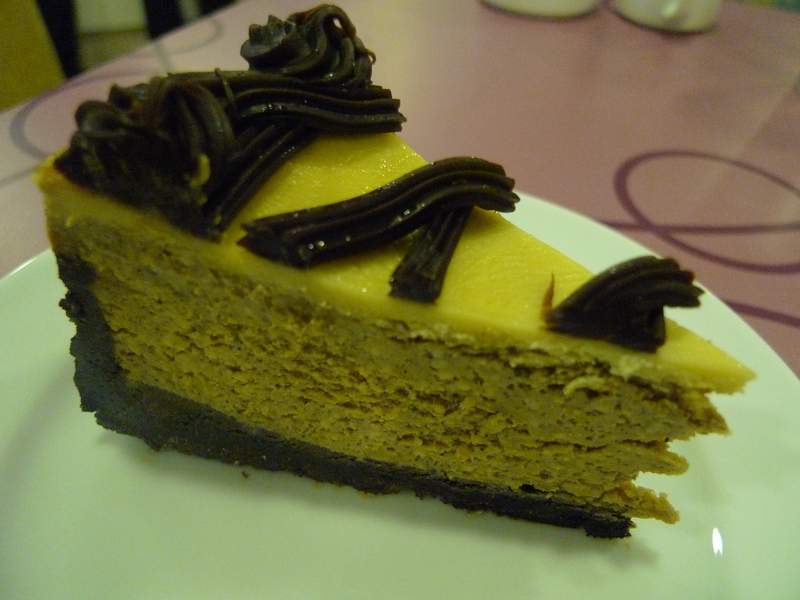 I didn’t get to visit Calea again during that trip. The thought of eating that much cake again daunted me, though it was one of the best I’ve ever had, and was well-priced, too, the whole thing costing me less than Php200, if I remember correctly. I do plan to visit again, and again, and again, until I have tried every cake in their inventory, provided I don’t get diabetes first. Lourdes - C Bldg. Lacson St.